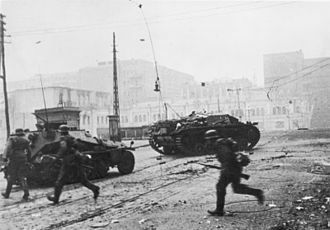 The 1940–44 insurgency in Chechnya was an autonomous revolt against the Soviet authorities in the Chechen-Ingush Autonomous Soviet Socialist Republic. Beginning as early as June 1941 under Khasan Israilov, it peaked in 1942 during the German invasion of North Caucasus and ended in the beginning of 1944 with the wholesale concentration and deportation of the Vainakh peoples (Chechens and Ingushes) from their native lands as well as from the locations across the USSR, resulting in the death of at least 144,000 civilians. However, scattered resistance in the mountains continued for years. 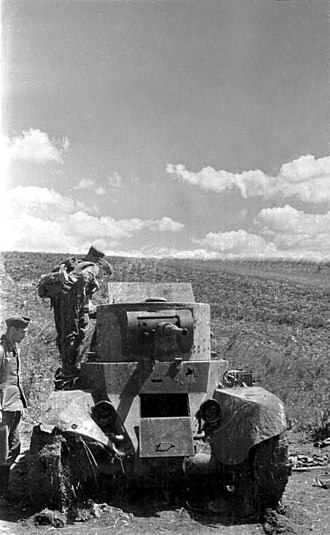 In late 1939, encouraged by the Soviet failures in the Winter War against Finland, Chechen ex-communist intellectual Khasan Israilov and his brother Hussein had established a guerrilla base in the mountains of south-eastern Chechnya, where they worked to organize a unified guerrilla movement to prepare an armed insurrection against the Soviets. By early February 1940, Israilov's rebels took over several auls in Shatoysky District. 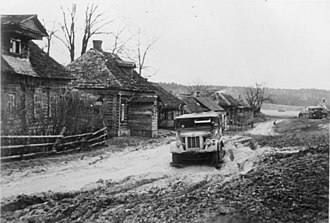 The rebel government was established in Israilov's native village of Galanchozh. 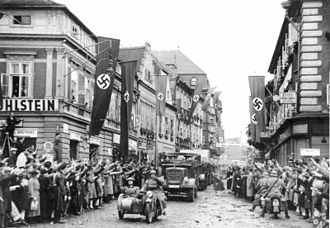 They then defeated the NKVD's punitive detachments sent against them, capturing modern weapons. 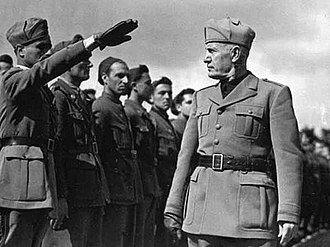 "I have decided to become the leader of a war of liberation of my own people. I understand all too well that not only in Checheno-Ingushetia, but in all nations of the Caucasus it will be difficult to win freedom from the heavy yoke of Red imperialism. But our fervent belief in justice and our faith in the support of the freedom-loving peoples of the Caucasus and of the entire world inspire me toward this deed, in your eyes impertinent and pointless, but in my conviction, the sole correct historical step. The valiant Finns are now proving that the Great Enslaver Empire is powerless against a small but freedom-loving people. In the Caucasus you will find your second Finland, and after us will follow other oppressed peoples." "For twenty years now, the Soviet authorities have been fighting my people, aiming to destroy them group by group: first the kulaks, then the mullahs and the 'bandits', then the bourgeois-nationalists. I am sure now that the real object of this war is the annihilation of our nation as a whole. That is why I have decided to assume the leadership of my people in their struggle for liberation." 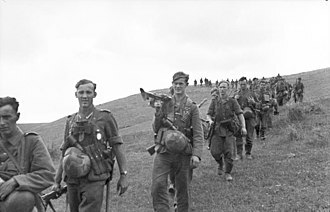 After the German invasion in the USSR in June 1941, the brothers convened 41 different meetings in summer 1941 to recruit local supporters under the name "Provisional Popular Revolutionary Government of Chechen-Ingushetia", and by the end of midsummer of that year they had over 5,000 guerrillas and at least 25,000 sympathizers organized into five military districts encompassing Grozny, Gudermes and Malgobek. In some areas, up to 80% of men were involved in the insurrection. It is known that the Soviet Union used carpet bombing tactics against the rebels, causing losses primarily to the civilian population. Massive Soviet bombing air raids twice targeted Chechen-Ingush mountain villages in the spring of 1942, completely devastating several auls and killing most of their inhabitants, including large numbers of elderly and children. Brutally avenge the enemies for the blood of our native brothers, the best sons of the Caucasus; Mercilessly annihilate seksoty [secret agents], agents and other informants of the NKVD; Categorically forbid [guerrillas] to spend the night in homes or villages without the security of reliable guards. In February 1942, another Chechen ex-communist, Mairbek Sheripov, organized a rebellion in Shatoi and tried to take Itum-Kale. 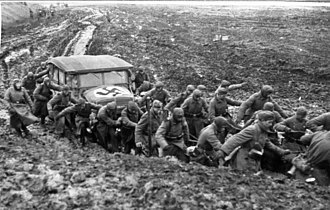 His forces united with Israilov's army relying on the expected arrival of the German Wehrmacht. In neighbouring Dagestan rebels also took the neighbourhoods of Novolakskaya and Dylym. 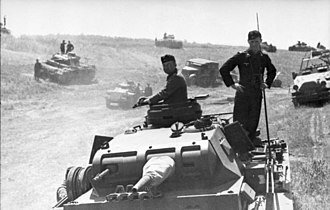 The insurrection provoked many Chechen and Ingush soldiers of the Red Army to desert. 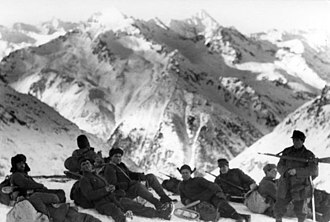 Some sources claim that the total number of the mountaineers deserting reached 62,750, exceeding the number of mountaineer fighters in the Red Army. In fact, this figure refers to the whole North Caucasus for the whole period of the war. 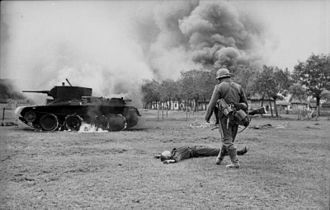 On August 25, 1942, nine German-trained saboteurs from Abwehr's Nordkaukasisches Sonderkommando Schamil landed near the village of Berzhki in the area of Galashki, where they recruited 13 local Chechens for their cause. Later in August and September, a total of 40 German agents were dropped in various locations. All of these groups received active assistance from up to 100 Chechens. 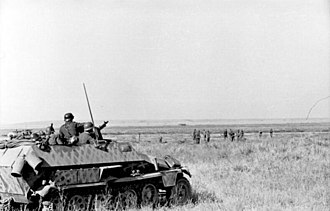 Their mission was to seize the Grozny petroleum refinery in order to prevent its destruction by the retreating Soviets, and to hold it until the German First Panzer Army arrived. 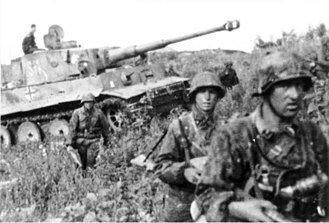 However, the German offensive stalled after capturing only the ethnic-Russian town of Malgobek in Ingushetia. The Germans made concerted efforts to coordinate with Israilov, but his refusal to cede control of his revolutionary movement to the Germans, and his continued insistence on German recognition of Chechen independence, led many Germans to consider Israilov as unreliable, and his plans unrealistic. 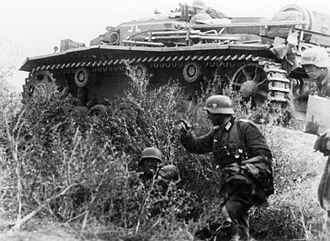 Although the Germans were able to undertake covert operations in Chechnya—such as the sabotage of Grozny oil fields—attempts at a German–Chechen alliance floundered. That the Chechens actually were allied to the Germans is highly questionable and usually dismissed as false. They did have contact with the Germans. 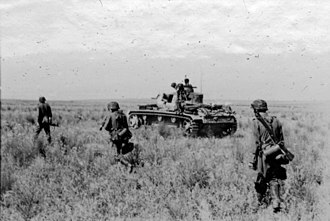 However, there were profound ideological differences between the Chechens and the Nazis (self-determination versus imperialism), neither trusted the other, and the German courting of the Cossacks angered the Chechens (their traditional enemies with which they still had numerous land disputes and other conflicts). Mairbek Sheripov reportedly gave the Ostministerium a sharp warning that "if the liberation of the Caucasus meant only the exchange of one colonizer for another, the Caucasians would consider this [a theoretical fight pitting Chechens and other Caucasians against Germans] only a new stage in the national liberation war." 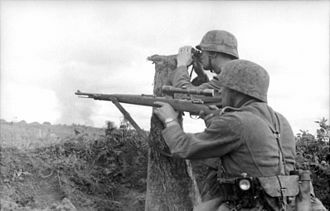 By 1943, as the Germans began to retreat in the Eastern Front, the mountain guerrillas saw their fortunes change as many former rebels defected to the Soviets in exchange for amnesty. 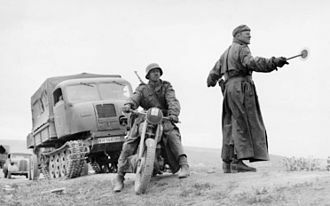 On December 6, 1943, German involvement in Chechnya ended when Soviet counter-intelligence agents infiltrated and arrested the remaining German operatives in Chechnya. 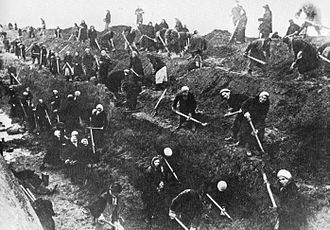 After the German retreat from the Caucasus, almost 500,000 Chechen and Ingush people from Checheno-Ingushetia as well as other republics were forcibly resettled to Siberia and Central Asia (mostly to Kazakhstan SSR) en masse, resulting in a large number of deaths among the deportees. Many of those who were not deported were simply massacred on the spot. In mountainous regions of the country, mass atrocities such as the Khaibakh massacre took place. 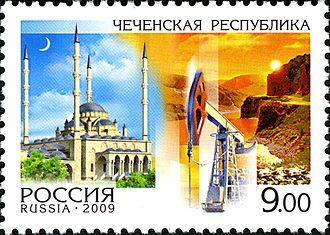 By the next summer, Checheno-Ingushetia was dissolved; a number of Chechen and Ingush placenames were replaced with Russian ones; mosques and graveyards were destroyed, and a massive campaign of burning numerous historical Chechen texts was nearly complete. Throughout the North Caucasus, about 700,000 (according to Dalkhat Ediev, 724,297, of which the majority, 479,478, were Chechens, along with 96,327 Ingush, 104,146 Kalmyks, 39,407 Balkars and 71,869 Karachays) were deported. Many died along the trip, and the extremely harsh environment of Siberia as well as of other regions the people were deported to (especially considering the amount of exposure) killed many more. However, some rebel groups stayed in the mountains, continuing the resistance. Rebel groups were also formed in Kazakhstan. Israilov was betrayed and killed by two of his own men in December 1944. Following his death, the resistance was led by Sheikh Qureish Belhorev, who was captured in 1947. 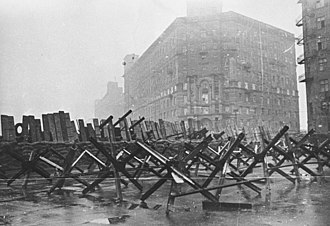 Several security divisions were sent to suppress the remnants of partisan movement, achieving this task only in the mid-1950s. ^ (in Russian) Операция "Чечевица"
^ a b (in Russian) Игорь Пыхалов. За что Сталин выселял народы. ^ a b Burds, Jeffrey (2007). "The Soviet War against "Fifth Columnists": The Case of Chechnya, 1942–4" (PDF). 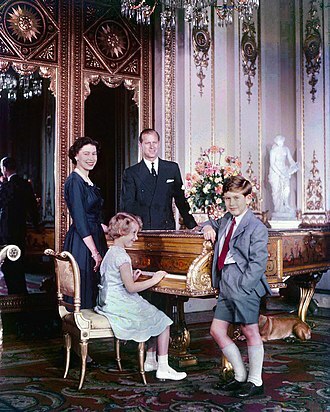 Journal of Contemporary History. 42 (2): 267–314. doi:10.1177/0022009407075545. Archived from the original (PDF) on 2009-09-04. ^ Николай Бугай (2013). "Итоги сталинского правления в государственной национальной политике. 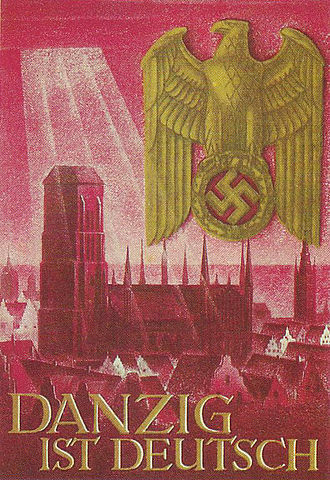 1920–1950-е годы" (PDF). «Белые пятна» российской и мировой истории (in Russian) (5–6): 62. Retrieved July 31, 2018. ^ Avtorkhanov. 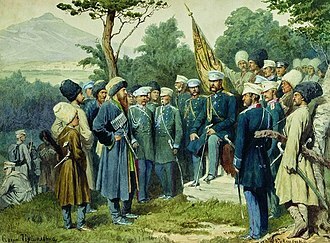 Chechens and Ingush. p. 183. 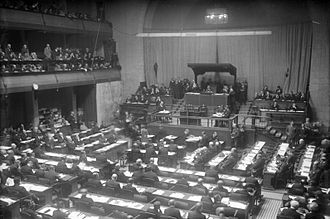 ^ "European Parliament recognizes deportation of Chechens and Ingushetians ordered by Stalin as genocide". Caucasian Knot. 1 March 2004. Retrieved 10 May 2013. The Peoples Commissariat for Internal Affairs, abbreviated NKVD, was a joint law enforcement agency of the whole Soviet Union that directly executed the will of the All-Union Communist Party. 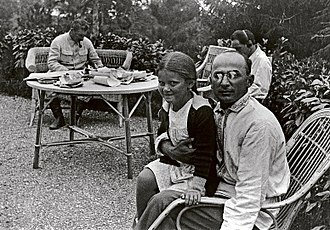 It was closely associated with the Soviet secret police, which at times was part of the agency, the NKVD was headed by Soviet secret police officials. The NKVD contained the regular, public police force of the USSR, including police, border guards. It is best known for the activities of the Gulag and the Main Directorate for State Security and it was tasked with protection of Soviet borders and espionage, influencing foreign governments and enforcing Stalinist policy within communist movements in other countries. 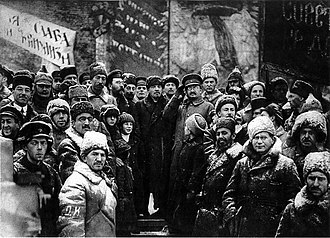 After the Russian February Revolution of 1917, the Provisional Government dissolved the Tsars police, realizing that it was left with no capable security force, the Council of Peoples Commissars of the RSFSR created a secret political police, the Cheka, led by Felix Dzerzhinsky. It gained the right to undertake quick non-judicial trials and executions, the Cheka was reorganized in 1922 as the State Political Directorate, or GPU, of the NKVD of the RSFSR. In 1922, the USSR was formed with the RSFSR as its largest member, the GPU became the OGPU, under the Council of Peoples Commissars of the USSR. The NKVD of the RSFSR retained control of the militsiya, as a result, the NKVD became responsible for all detention facilities as well as for the regular police. Since its creation in 1934, the NKVD of the USSR underwent many organizational changes, on February 3,1941, the Special Sections of the NKVD responsible for military counterintelligence became part of the Army and Navy. 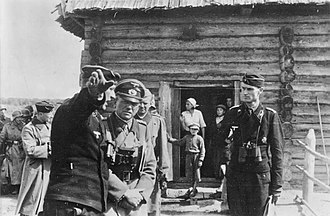 The GUGB was separated from the NKVD and renamed the Peoples Commissariat for State Security, after the German invasion, the NKVD and NKGB were reunited on July 20,1941. The CI sections were returned to the NKVD in January 1942, in April 1943, the CI sections were again transferred to the Peoples Commissariats of Defense and the Navy, becoming SMERSH, at the same time, the NKVD was again separated from the NKGB. 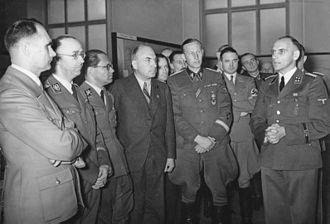 In 1946, all Soviet Commissariats were renamed ministries, the NKVD of the USSR was renamed as the Ministry of Internal Affairs, while the NKGB was renamed as the Ministry of State Security. 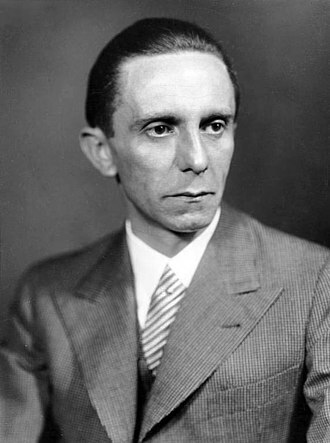 It was a strategic bombing mission and part of the oil campaign to deny petroleum-based fuel to the Axis. 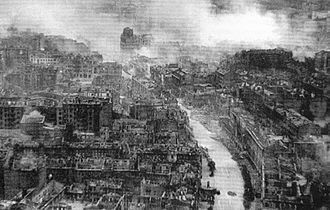 The mission resulted in no curtailment of overall product output and this mission was one of the costliest for the USAAF in the European Theater, with 53 aircraft and 660 aircrewmen lost. 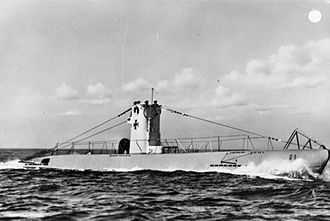 It was the second-worst loss ever suffered by the USAAF on a single mission, five Medals of Honor and numerous Distinguished Service Crosses were awarded to Operation Tidal Wave crew members. Romania had been a power in the oil industry since the 1800s. It was one of the largest producers in Europe and Ploesti was a part of that production. The Ploiești oil refineries provided about 30% of all Axis oil production, in June 1942,13 B-24 Liberators of the Halverson project attacked Ploiești. 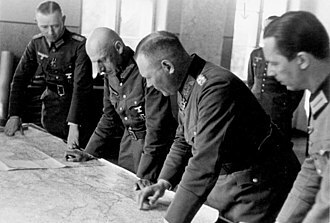 Though damage was small, Germany responded by putting strong anti-aircraft defenses around Ploiești, Luftwaffe General Alfred Gerstenberg built one of the heaviest and best-integrated air defense networks in Europe. 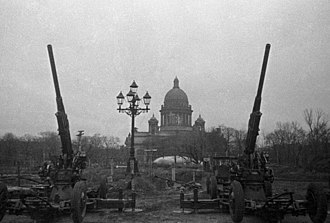 The defenses included several hundred large-caliber 88mm guns and 10.5 cm FlaK38 anti-aircraft guns, the latter were concealed in haystacks, railroad cars, and mock buildings. 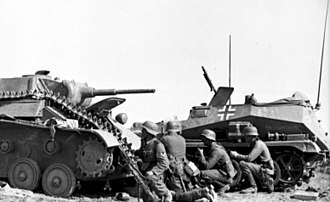 The Luftwaffe had three groups within flight range of Ploiești. 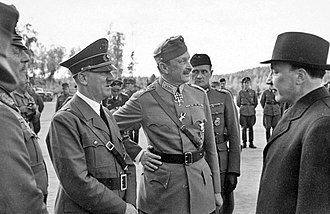 Gerstenberg counted on warnings from the Luftwaffe signals intelligence station in Athens, the Ninth Air Force was responsible for the overall conduct of the raid, and the partially formed Eighth Air Force provided three additional bomb groups. 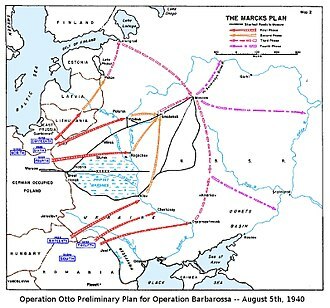 All the bombers employed were B-24 Liberators, colonel Jacob E. Smart planned the operation, based on HALPROs experiences. The bombers to be used were re-equipped with bomb-bay fuel tanks to increase their capacity to 3,100 gallons. The operation was to consist of 178 bombers with a total of 1,751 aircrew, one of the largest commitments of American heavy bombers, the planes were to fly from airfields near Benghazi, Libya. 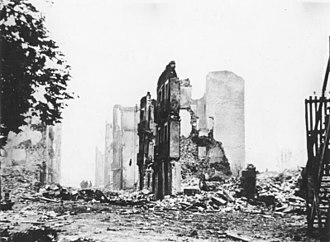 Reaching Ploiești, they were to locate pre-determined checkpoints, approach their targets from the north, for political reasons, the Allied planners decided to avoid the city of Ploiești, so that it would not be bombed by accident. Early on the morning of 1 August 1943, the five groups comprising the strike force began lifting off from their air fields around Benghazi. Pottery: an ancient Ingush vessel with three handles. The side handles used to tie the knots, and the vessel itself is well balanced for an operator to pour water down with one hand. 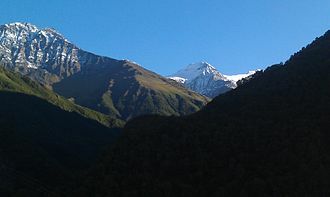 Dzheirakhovski district of Ingushetia. Koorkhars (600 BC – 1800s AD) is a traditional Ingush female head cover (hair is put into the "horns") which comes either single "horn" for usage as cushion with helmet, or double "horns" during peacetime which are covered in jewelry. Ingush pre-Islamic beliefs. Temple Tkhabya-Yerd (temple of 2000) was initially a cuboid cyclopean masonry structure, which was rebuilt during the spread of Christianity in Ingushetia. The rebuilt wall was done with smaller stones shown at the entrance side.